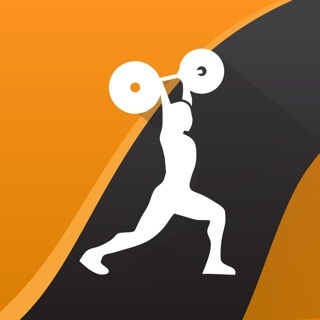 Caution: if you don't want to train at least 4 days per week, do NOT download this app. 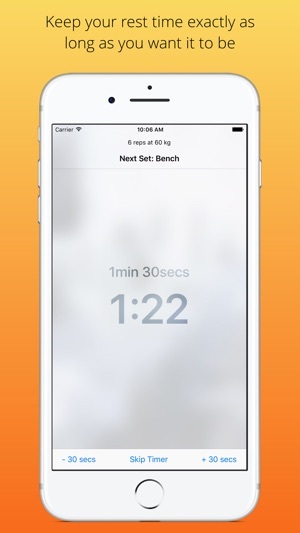 This app helps tracking your progress on the fitness program "nSuns 5/3/1 LP"
If you're as tired as me of d*cking around with excel spreadsheet / scribble notes when trying to track your progress on the nSuns 5/3/1 program: this is your app. This app was originally designed for myself as there was no considerable alternative app in the store which suited my needs. As time went by and this project became more and more mature I decided to hand it to the public as well. This app is free of charge, please know that hundreds of hours of my spare time was spent developing this app. So if you like this app, please leave a rating in the store as a form of payment. • Fixed a bug which prevented low inputs for the progression scheme when using lbs instead of kg. Sorry 'bout that! • Subscribe now for beta testing through the app in the settings screen's contact section. • Customize the nSuns progression scheme to your needs via the new 'progression scheme' option in the settings. Honestly cannot believe this is free. 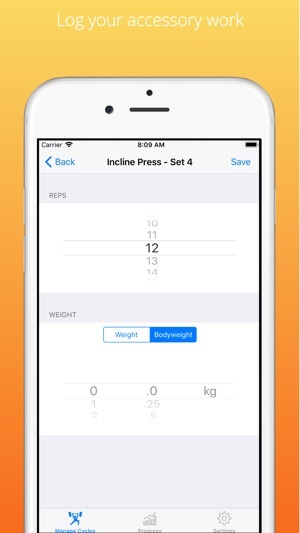 Firstly, this is hands down better than most if not all premium workout apps out there. All you do is input some initial numbers when you first open the app, and then it keeps track and also progresses all your lifts for you weekly. I’m currently doing the 6-Day Deadlift program, and I’ve been using it every day for the past 5 weeks. If 6 days per week is too much for you, there are also 4 and 5 day options as well. This is the first time in years I’ve been motivated enough to gym consistently, and this app has been essential through it all. Huge thanks to this amazing app developer. I encourage everyone to donate through the app, because it is genuinely well deserved and worth the money. 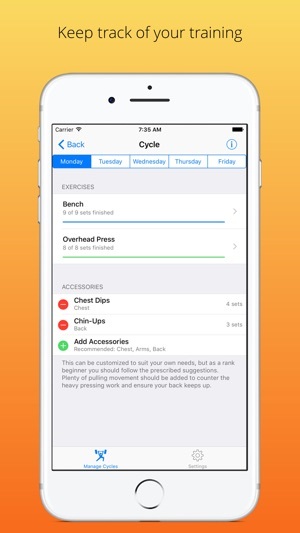 One suggestion: If the app could somehow track the progression of other things, like accessories, body weight, etc, that would be unbelievable. Thanks again, and looking forward to your future updates and improvements! I’m a (former) veteran hardgainer, but I’ve been working out seriously since I was a Junior in high school (about two years). I’ve tried a few other programs for 4-5 months at a time, always with gains in mass and strength but not quite as fast as most of my peers. 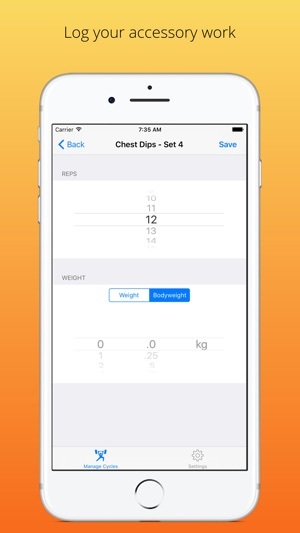 However that all changed as soon as I started nSuns, specifically with this app. I put on 30lbs in three and 1/2 months, mostly in muscle, and joined the 1000lb club, and I’d credit most of that progress to this app. The developer did a great job with it in every way. There are virtually no glitches and the quality of the layout is better than some premium apps I’ve tried for other programs. Specifically I used the 6-day squat variant but changed around the order of the days to emphasize squat more. The program itself is weird af, but it works. I’m kicking myself that I didn’t start using this app two years ago. This is easily the best workout program I've done. I've gotten the most gains I've ever had and I've had the most fun I've had doing it. I'm so glad I found this app because it's honestly improved my life by making me enjoy lifting for the first time in my life. And it's free to boot! However, I will be donating if possible (need to look). There are only a few improvements I think would make it even that much better. 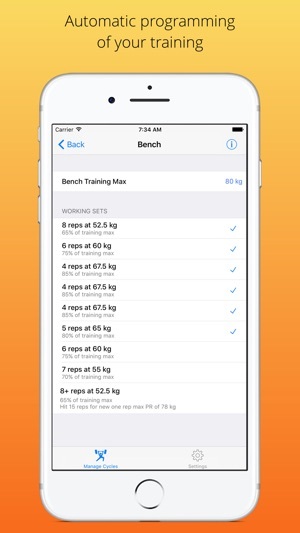 It would be great if I could input a max weight for an accessory workout and have it set my sets and weights just like the second exercise. I also have issues with the countdown timer. If I leave the app and come back, the timer disappears when I come back in. There is also no alarm/beep sound for me when the timer hits zero.